On Wednesday, Sept. 11 at about 11:23 a.m., officers were dispatched to the 600 block of Hidden Creek Road for an unknown altercation. Officers arrived on scene and determined that a victim of a theft from his vehicle had chased down the suspect who was still carrying his property. 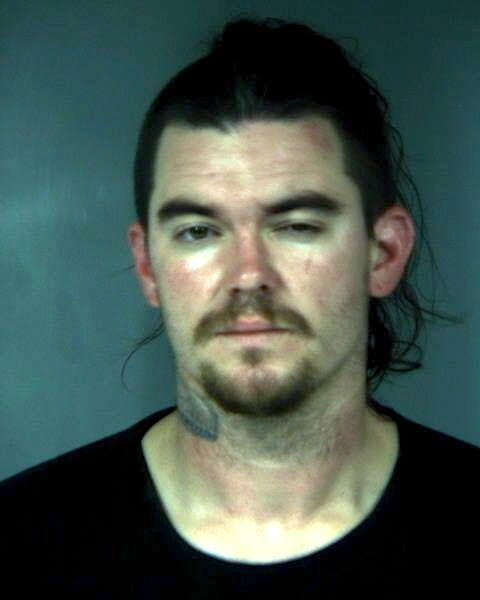 The suspect was identified as 32-year-old Cody Sides from Arcata. Cody Sides was arrested for grand theft. Incident to arrest, Cody Sides’ vehicle was searched. Inside the vehicle, property from a residential burglary in the vicinity was located. Cody Sides was arrested for 487 PC – Grand Theft and 496 PC – Possession of Stolen Property. Cody Sides was transported to the Humboldt County Correctional Facility where he was booked and lodged. This entry was posted on Wednesday, September 11th, 2013 at 6:08 pm	and is filed under News. You can follow any responses to this entry through the RSS 2.0 feed.